Colorado Gov. 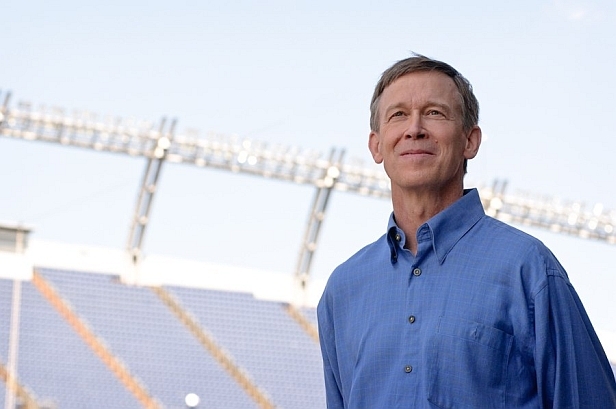 John Hickenlooper — a relentless champion with Ohio Gov. John Kasich of bipartisan health care reform — on Tuesday expressed his relief that the Graham-Cassidy bill to repeal and replace the Affordable Care Act failed to garner enough Republican votes and finally appears to be dead. Hickenlooper and Kasich have been touting a bipartisan plan to shore up the flaws in the ACA since late August, and the two governors once again are advocating that approach in the Senate. The Hickenlooper-Kasich plan includes provisions to address skyrocketing health insurance rates in rural areas like Colorado’s Western Slope, where a lack of competition has been devastating. Republican Colorado Sen. Cory Gardner, who in July voted three times to repeal and in some way replace the ACA, does not have to vote again on the controversial GOP push to stop Medicaid expansion and potentially eliminate health insurance for millions of Americans. Democratic Colorado Sen. Michael Bennet did not directly address the failure of the GOP’s latest ACA repeal on Twitter Tuesday, instead touting Senate passage of the CHRONIC Act to improve Medicare outcomes and bring down costs. Progressive health care groups also lauded the failure of Graham-Cassidy bill. “Colorado would have been devastated by this bill, losing billions in funding for health care programs, and at least 600,000 Coloradans would have lost health insurance,” said Adam Fox, Director of Strategic Engagement of the Colorado Consumer Health Initiative and Coalition Organizer for the Protect Our Care Colorado (POCC) coalition. “Members of Congress have hopefully gotten the message loud and clear that irresponsible efforts to repeal the Affordable Care Act or gut Medicaid will not be tolerated and will encounter strong resistance from the people they represent,” Fox added. Small business group pointed to the economic benefits of dumping Graham-Cassidy and fixing the ACA. “Had it passed, Graham-Cassidy would have left millions of entrepreneurs and small business employees uninsured,” Small Business Majority Founder & CEO John Arensmeyer said. “People would likely have lost their healthcare coverage thanks to the measure’s gutting of Medicaid, and the subsidies that were the primary driver of coverage expansion under the ACA. It was also estimated to cost our economy 580,000 jobs.